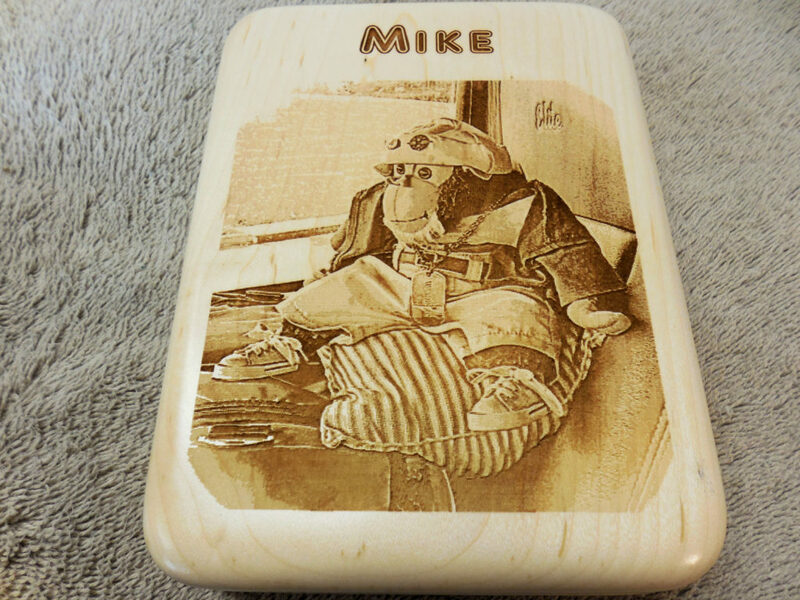 Personalized fly holder case with your laser engraved photo. 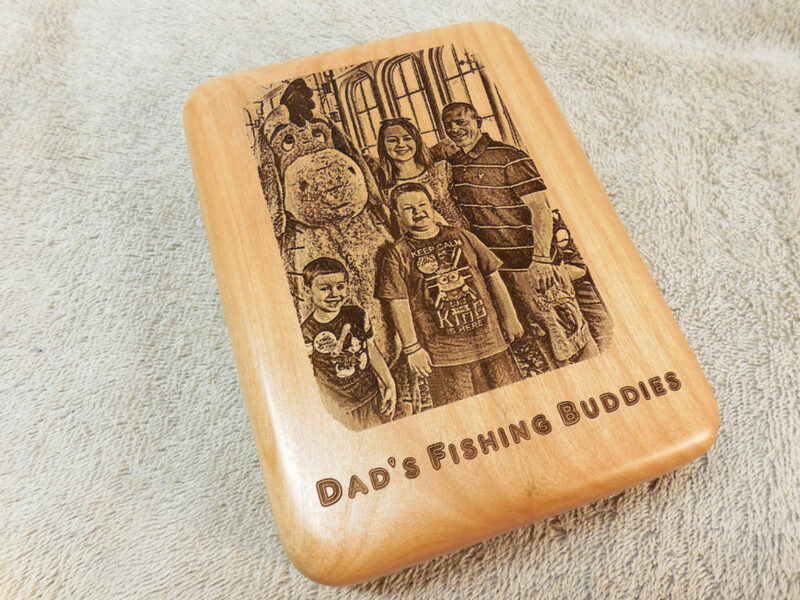 Perfect gift for Father’s Day, fly fishers, novice or avid fisherman. Keep favorite flies handy! 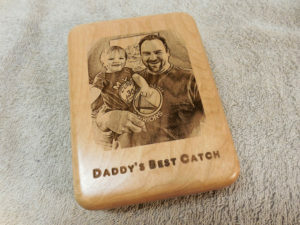 Give them with a gift that combines something that is really useful, yet very personalized. 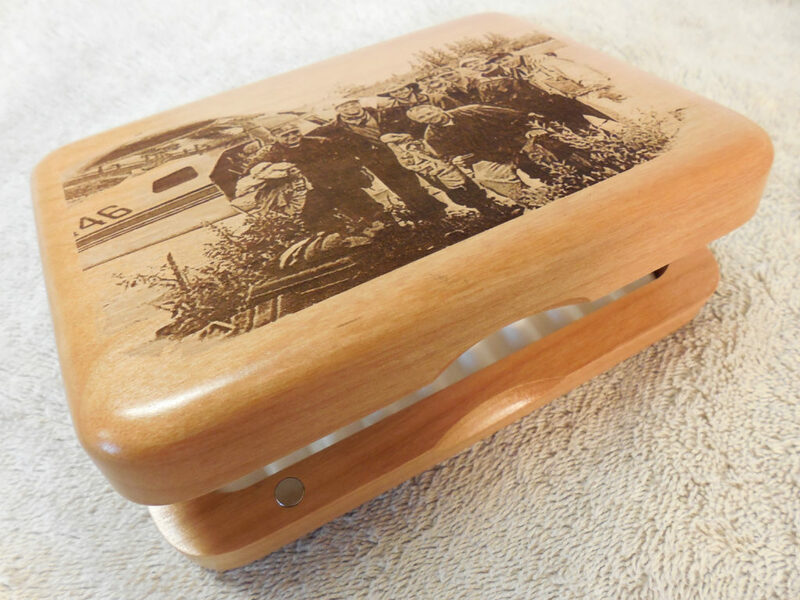 This fishing fly holder is available in solid Alder or Maple wood. 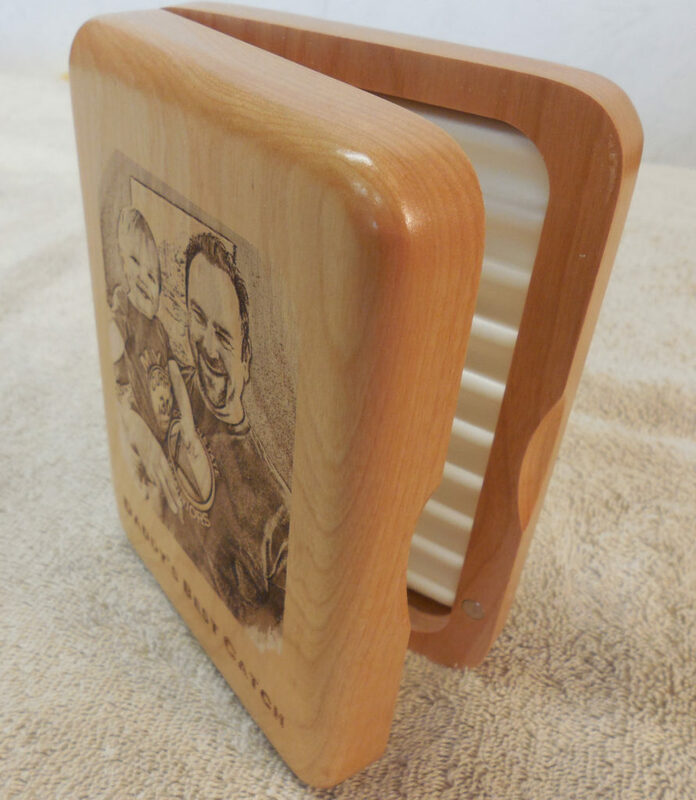 It measures ~7″ tall x ~4″ wide x ~1 1/2 thick. Rippled foam interior for holding fishing flies. 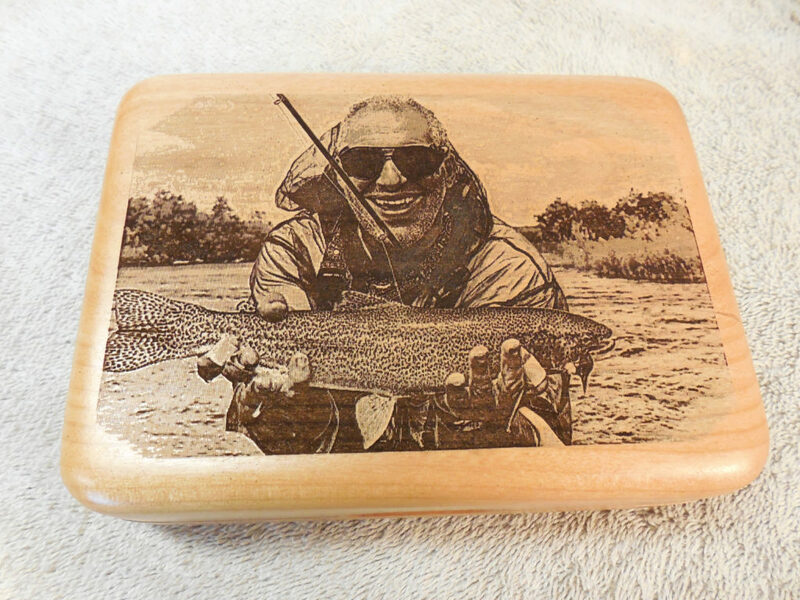 Check out some of the other fly box designs I have for sale. Choose a design featuring an eye-catching jumping bass or trout design. All Boxes can be laser engraved with Recipient’s Name and selected art work of your choice for a personalized laser engraved gift that will last forever. 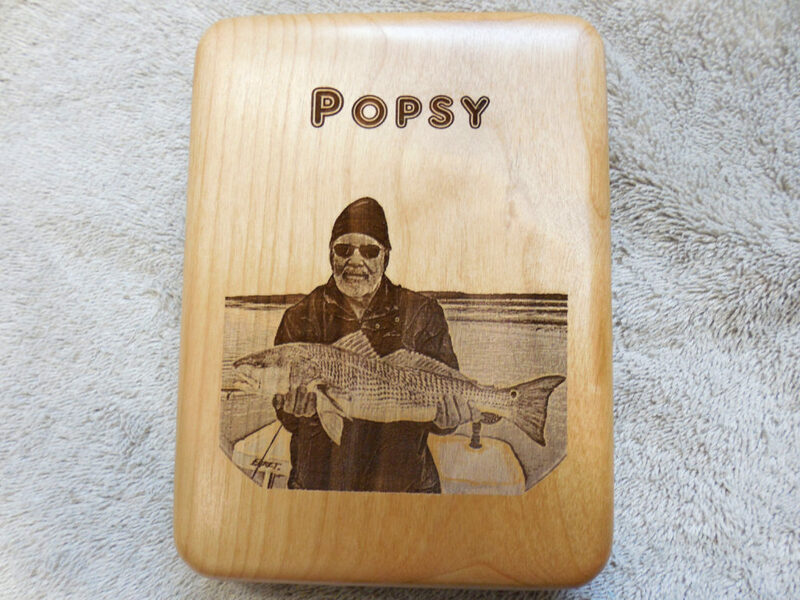 Fishing fly boxes are available in Alder wood and Maple Wood. You may custom combine any saying with either graphic, (may require additional lead time based on stock on hand), contact us.